You know me by now. You know that I like to put a positive spin on these new plastic trucks. Well, I’ve met my match in the form of the Freightliner EconicSD. This thing is way too strange for my tastes. From the cab to the name. None of it makes any sense. Of course if you listen to the Freightliner reps this truck is the next step in the evolution of modern trucks. At the end of the day I suppose they are correct. The economies of scale have changed. You don’t just make a truck for the European or North American market anymore. You make a truck for both. 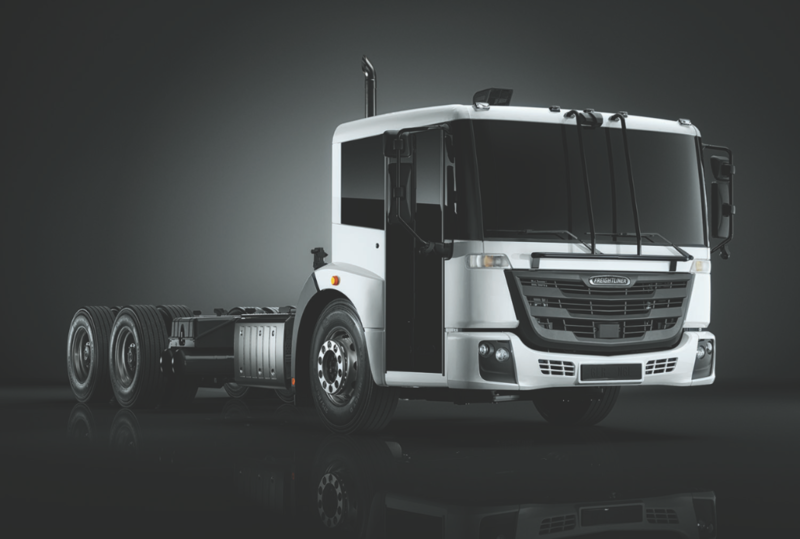 The cab and chassis of the EconicSD was designed and constructed at Daimler’s massive factory in Worth, Germany. It then hits the open seas and ends up in South Carolina where final assembly and preparation for the North American market takes place. The global economy summed up in one photo. You can learn more about the EconicSD by clicking here to read the official press release. This entry was posted in Industry News and tagged econicSD. Bookmark the permalink. One world order Truck. Looks a little bit like an electric, I am sorry to say, truck. But I call them as I see them. No disrespect to you Eric. It reminds me of a bus. I’ve never cared for Euro styling which this truck has in spades.